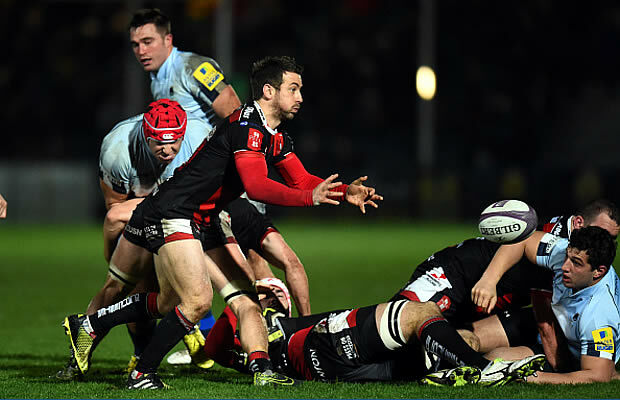 Gloucester held on for a 32-25 bonus point Anglo Welsh LV= Cup victory over the Ospreys at Kingsholm on Saturday afternoon. The result keeps the Cherry and White’s Anglo Welsh Cup hopes alive and they face Harlequins next week in a must win match if they are to reach the Semi-finals. Gloucester unleashed a youthful back line on their Welsh visitors to Kingsholm, winning well as a result despite a late scare. The Ospreys received two yellow cards within a few minutes for both of their half-backs at the end of the first half as Gloucester racked up the tries, the boot of Sam Davies keeping the away side in the game. Captain for the day Aled Thomas landed Gloucester’s first try after just three minutes before the Gloucester pack made their mark by winning a penalty try after a thundering rolling maul. Scoreless after the opening quarter, the Ospreys countered with a Davies penalty and a try for centre Ben John to make it 14-10. 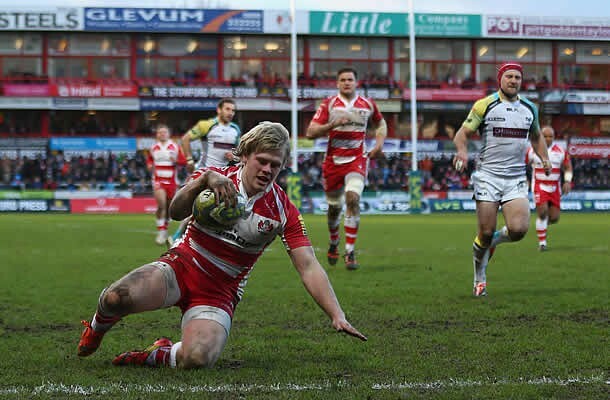 Billy Burns and Davies traded penalties before Ollie Thorley struck for Gloucester’s third try before half-time. Daniel Thomas made it four tries for Gloucester after 45 minutes but Richard Fussell’s reply gave the Ospreys some hope at 29-20. A penalty from captain Thomas came but Tom Grabham powered over for the Ospreys to put them within seven points, with Aleki Lutui heading to the bin. For the Ospreys however, time ran out.